This week only, get the Life Your Way Printables Complete Download Pack for just $5! The set includes all 300+ printables that have been published to-date plus free monthly updates when we release new printables. Click here to browse the printables or purchase your set today! September is a popular time for reorganizing and simplifying, and if you haven’t been using a home management notebook — or it’s been a while since you’ve revamped it — this is a great time to spend some time working on yours! Typically kept in a 3-ring binder, a home management notebook holds everything you need to run your household, all in one convenient location. The overarching purpose of a home management notebook or binder is to build a command central that holds all of the information anyone in the family needs regular access to; however, there are many different ways that individual families use their notebooks. For instance, many people include their actual “household management” tasks in their folder, including finances, homeschooling, managing contact lists and calendars, etc. As morbid as it sounds, a household management notebook can be an invaluable resources for someone who loses their spouse suddenly so that they’re not left floundering to figure things out in the midst of their grief. Having a home management notebook is a way to ensure that they have all of the information they need at their fingertips. For some people, a home management notebook becomes more of a “second brain” on a day-to-day basis. It houses their to-do lists, brainstorming and more. The benefit of using your notebook this way is that you keep everything you need in one place rather than having multiple systems. The downside is that a binder is much larger and less portable than a small notebook or day planner. And still other people create yearly binders in place of a filing system so that the whole notebook can then be archived for recordkeeping purposes. As with all organizing projects, the key is to have a clear vision for your notebook as you decide which information to include and which to keep separate. The truth is that no two household management binders will look the same. There are several basic categories that most people will want to include, but the rest should reflect your own lifestyle and needs. Before I list some common categories, I want to stress one important point: Please do not look at this list and allow yourself to become overwhelmed by the thought that you have to include every category. Some notebooks contain just a few sections, while others may contain eight or more — or even span several separate notebooks. If your vision for your notebook seems overwhelming to start, pick up a couple packs of tab dividers and then leave the tabs blank for now. Start with three basic tabs — for example: emergency information, contacts and calendars — and fill those sections without worrying about the rest. Once those are done, you can begin working on additional sections. Your notebook does not have to be completed in a single weekend, and you’ll find that it becomes a better resource if you think of it as a work in progress rather than a one-time project. If you work at home or run your own business, you might include those records as well. You also might have a section for your hobbies — gardening or quilting, for example — or for your volunteer activities or organizations you’re active in. To get started, think about the information you want to include in your notebook. Gather any papers you have scattered throughout your home — for example, those in your kitchen junk drawer or across the top of your desk — and begin sorting them into categories to get an idea of the type of information you regularly refer to. Think through your vision for your notebook. 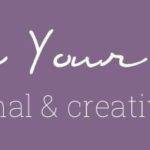 Is your goal to create a notebook to assist you in your day-to-day management of your home? Or is your focus on having a reference binder or yearly archive? Also take some time to think about the supplies you want to use. Are you hoping to create a “pretty” system, or is the function all that matters to you? How many tabs do you want to use? Will you be choosing a set number of categories or leaving blank tabs so that you can expand over time? Although your system will evolve over time, as it should, spend some time thinking about what you’re looking for in a home management notebook now and then work from there! In the spirit of my Top 10 Reasons You Shouldn’t Plan a Weekly Menu post, I wanted to share the top 10 reasons you shouldn’t use a home management notebook either! 10. You like sending family members on treasure hunts around the house for various pieces of paper with important information on them. 9. You’d rather spend 15 minutes a day — every day — looking for information than a couple of hours over one weekend to get it organized. 8. If you get organized, you might actually have time to do something you enjoy, and then “they” will accuse you of sitting around and eating bon-bons all day. 7. Having a home management notebook would ruin your spontaneous and laid back image. 6. You’re not quite sure what you want, and if it’s not going to be perfect, there’s no point in doing it at all. 5. You don’t like to follow the crowd, and since home management notebooks are a popular tool, you’re just not gonna do it. 4. Keeping everything in one place would mean you’d have to stop ignoring the budget and meal plan. 3. You never forget anything, so there’s no reason to write it down. 2. You really don’t like paper products and office supplies, and the thought of having to look at a cute notebook all the time makes you sick. 1. As long as you’re the only one in the know when it comes to running your household, you don’t have to worry about your family replacing you. As you get started, you may be tempted to buy every office supply imaginable to make your system just right (please tell me I’m not the only one who’s compulsive about paper and office supplies!). On the other hand, you may be wondering which supplies are really necessary to make this system work. The good news is not much! Binder. The binder is the backbone of the whole system. 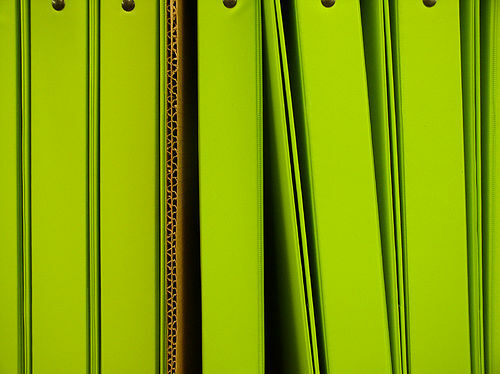 You can start with a 1″ binder, but — depending on what purpose your home management notebook will serve — you may need to upgrade to a larger one at some point.Binders can be found for as low as $1 in plain, utilitarian colors. However, if you have a little more to spend, buying a binder that appeals to you visually is a good way to motivate yourself to use the system consistently. I also think these zippered binders would be great for a household management system, especially if you use it on a daily basis and want to be able to take it with you on the go. The poly binders by Company Folders are extremely durable, which makes them an excellent choice if you want your notebook to last a long time. Tab Dividers. Tab dividers are another necessity of home management notebooks because they allow you to divide the information into categories for easy reference. They typically come in packs of 5, 8, 10, 12 or 15, so you’ll want to have a general idea of how many categories you’re going to use before you choose a set.Again, there are many different features to consider, but the least expensive tab dividers start under a dollar. You’ll want to choose between tabs that allow you to insert a label versus those that you write on. Some come with printable stickers and templates so that you can print your labels, and you can also get tab dividers with rewriteable tabs. And depending on your needs, you may choose ones with pockets or page protectors. Truly, a basic binder and tab dividers is all you need to get started, and you can get started today for under $2, so don’t let cost be a factor in delaying this project! Zippered pouch, for holding your supplies, such as pens, post-it notes, calculator, etc. The Life Your Way printables collection contains more than 75 printables for your home management notebook in both full- and half-sheet size. Remember, your home management notebook should reflect you and your needs, and there’s no right or wrong way to do it. 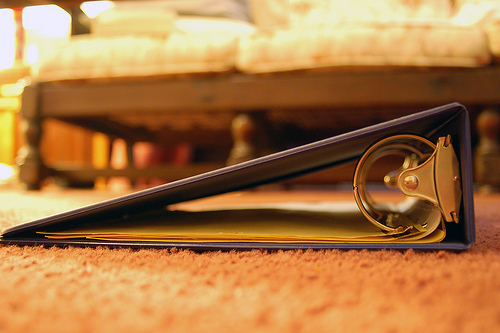 Do you use a home management notebook? If so, what do you think is the biggest benefit? I just found your site today and I am in LOVE! I was looking for planner templates on Pintrest and ended up finding so much more on your site. Thank you for providing such valuable information and downloads.